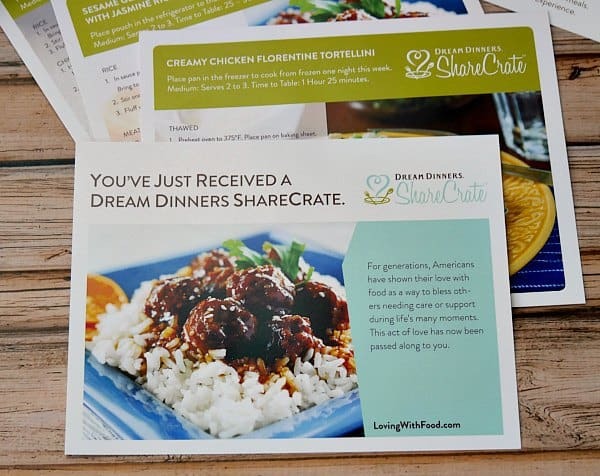 Send a meal gift delivery to family or friends in need with our sponsors, Dream Dinners ShareCrate! The month of September was crazy around our home. I traveled for 14 days total in the month of September. I don't normally travel much for business during the school year because it takes a lot of planning and help. But I had a few opportunities that I couldn't pass up and my husband told me to go for it. So I did! Among the planning for child care and rides to activities, I was also concerned about meals. My husband can cook but I know how hard it is to be the single parent after working all day to come home and have to make a meal. Cooking a meal isn't always at the top of the list in the midst of chaos. So I made sure to plan ahead, stock up the fridge and freezer with favorite foods and I ordered a Dream Dinners ShareCrate for him to try out. 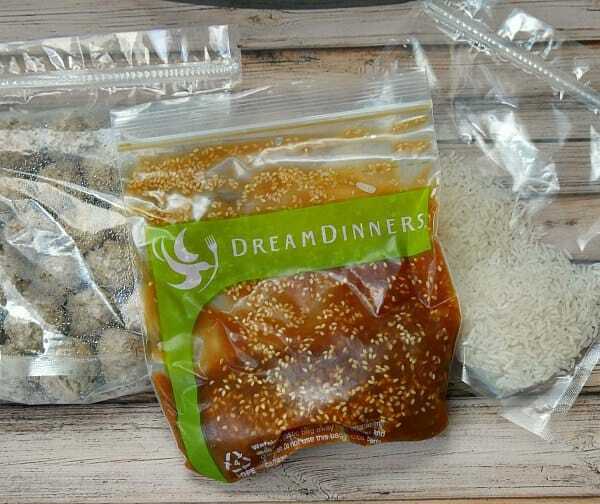 I've tried a couple of different dinner box subscriptions, but Dream Dinners ShareCrate is different. Dream Dinners ShareCrate is made specifically to be a gift. You order a Dream Dinners ShareCrate not for yourself, but for someone else. The meals are super simple to make. 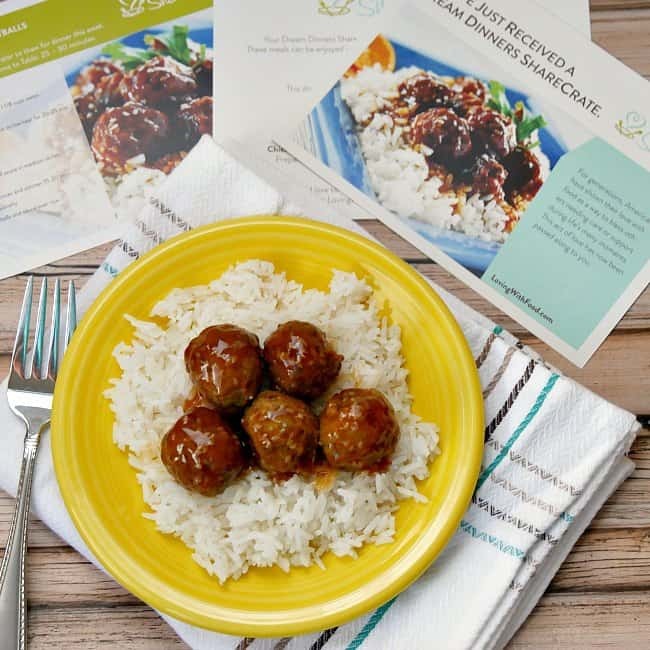 Unlike a dinner box subscription, which still requires a fair amount of chopping and cooking, the ShareCrate meals are ready to eat in about 20-30 minutes with very little prep or hands on time needed. 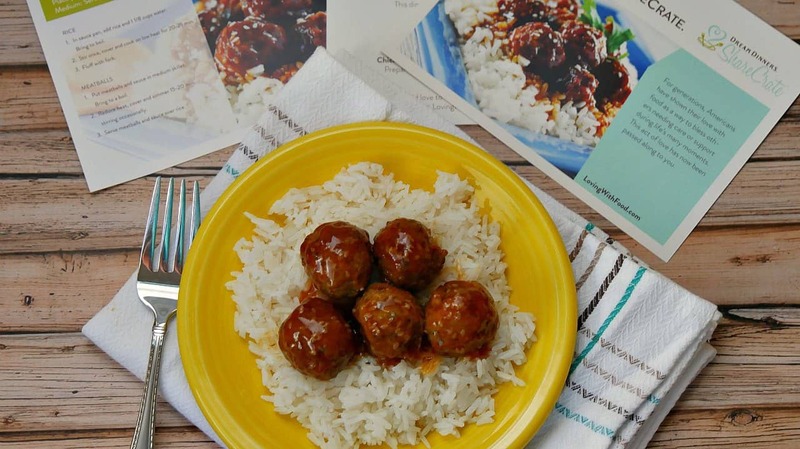 The meals are great for people who don't necessarily have strong kitchen skills, but really need or want a homemade meal. 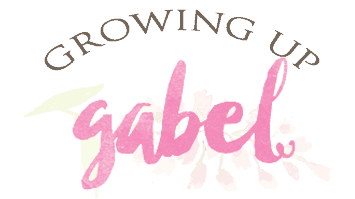 New parents – There is nothing like a new baby to throw your world in to chaos! The ShareCrate comes in two sizes – Medium or Large. Order the medium crate, which feeds 2-3, for a first baby and the larger crate, which feeds 5-6, for families who are adding another child. You may want to send two! 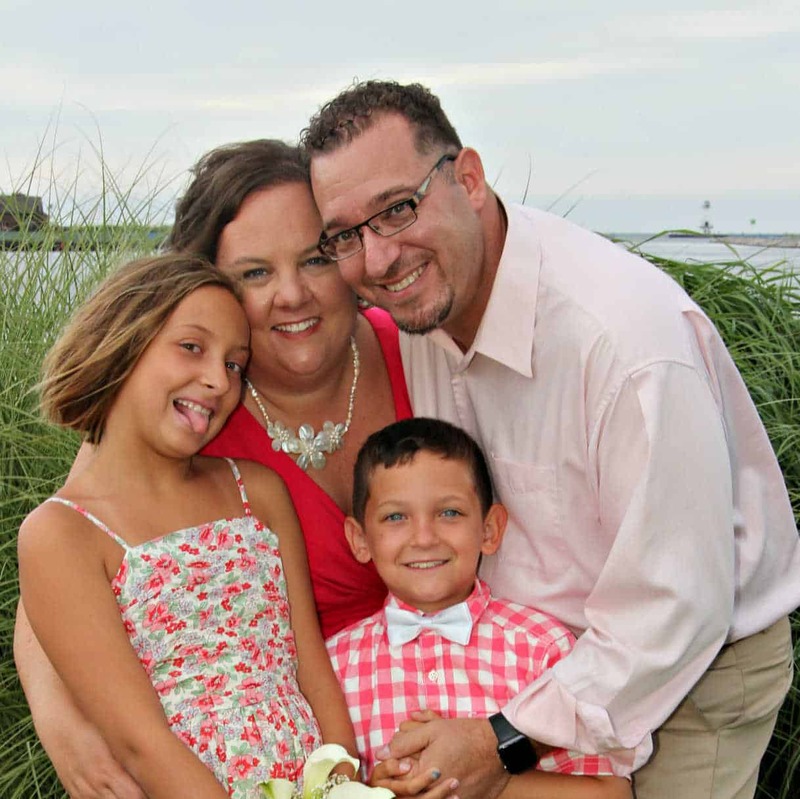 Families with an illness or hospitalization – A friend of mine's husband had brain surgery last year. They live in another state and I ordered them Chinese take-out one night while dad was still in the hospital. It was hard to schedule when dinner arrived, pay for it from across the country and try to get it delivered on time. I would have loved to send a ShareCrate so the family could eat the meals whenever they needed them. Families who are relocating – Moving is hard and exhausting. Send a ShareCrate a few days after a family has settled in to give them a break from eating out, but still provide a tasty home cooked meal. A parent who has lost a spouse – My mother-in-law passed away suddenly several years ago. It was a shock to our entire family, but especially to my father-in-law who had not cooked for himself for years. I desperately wanted to head to his house and stock up his freezer with easy to make meals. ShareCrate is that perfect way to send a meal that can be eaten anytime. When you return from vacation – Nothing is worse than coming home from vacation to an empty fridge! 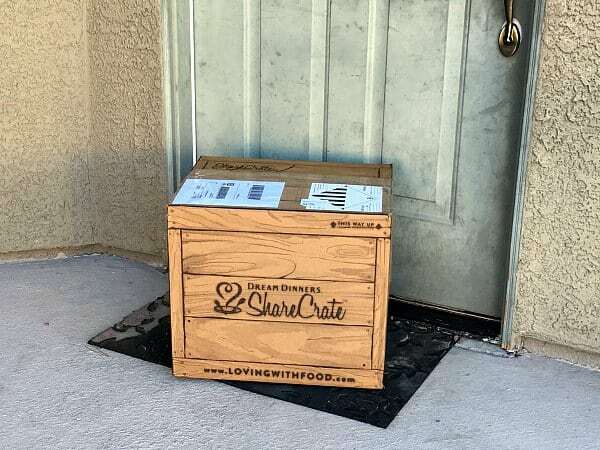 Order yourself a ShareCrate to be delivered the day you return to have 3 meals ready to go. Or send one to a friend who you know is returning from vacation as a special surprise. College students in final exams – I lived in a dorm and ate in a cafeteria throughout college, but a lot of my friends lived off campus in apartments. Ramen noodles were eaten often! During stressful times like exams, food is often overlooked. Ship a ShareCrate and make sure they are eating well while studying. New grads – When I graduated from college, I was finally on my own and had to cook for myself. I knew how to cook but learning to meal plan and budget was not in my skill set. Help a young adult adjust by sending a ShareCrate to help when the grocery budget is a little slim. 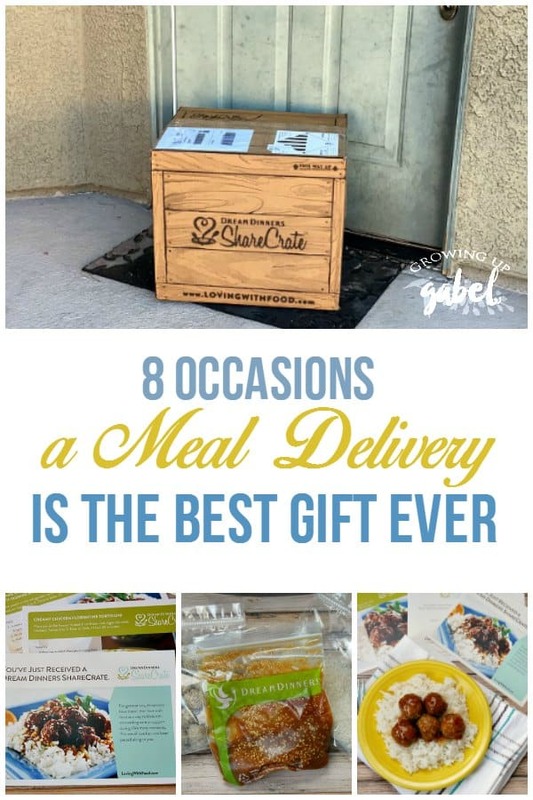 Special Occasions – What mom wouldn't love to get a meal delivery gift for her birthday?! A ShareCrate isn't just for when times are hard. It's the perfect way to give the family chef a few nights off for a birthday, Christmas or any other special occasions. Want to try Dream Dinners ShareCrate? Enter in the widget below! Yo-Kai Watch: The Movie In Theaters for One Day Only! There are available many online gift delivery portals which are providing different types of gift on different occasion such as birthday, anniversary and many other occasions. Today most of people want to purchase any product or gift though online shopping without waste valuable time. 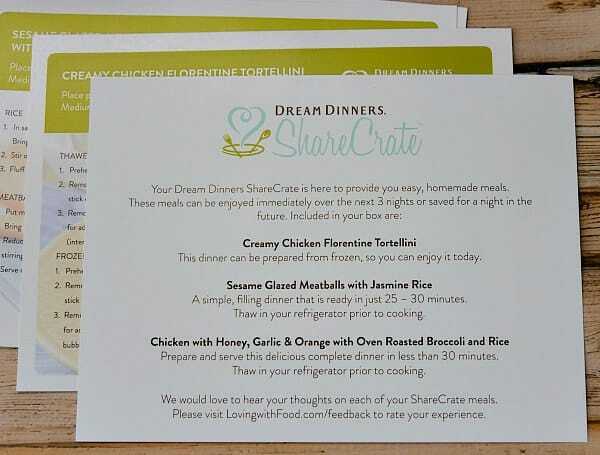 I’m a big fan of Dream Dinners, and I think the Share Crate is a wonderful extension of their philosophy regarding the importance of eating together at home. I would send one to my friend Tamsin, who is juggling 3 kids and a new job with a husband who travels a lot for work.